Hey guys! 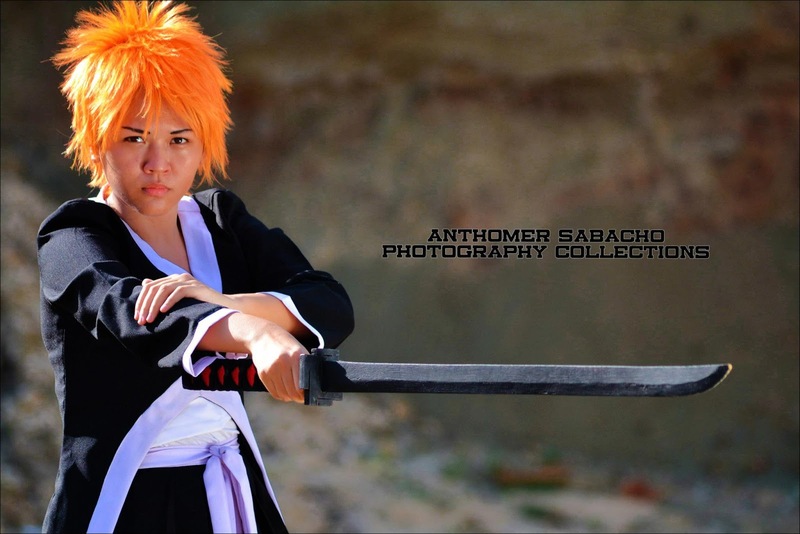 I am back to bring you my latest cosplay photoshoot here in Zamboanga!! It was held last year December 30 at Hilltop Resort, San Roque. 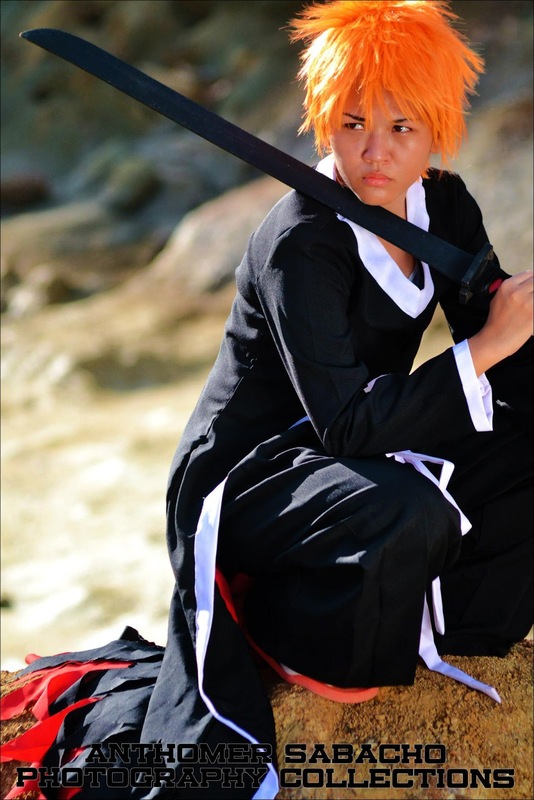 The shoot was organized by Veronica M. and her friends (she was Renji that day). I must tell you, the sun was our biggest fan that day but the prickling heat did not stop us from pushing through the shoot. All photos were taken, with permission, from the photographer's Facebook page. 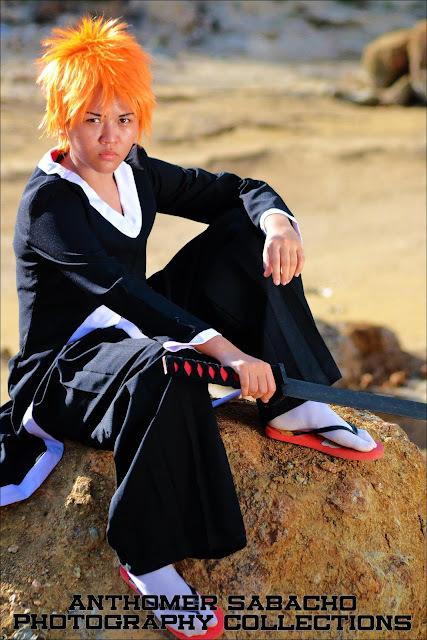 For more BLEACH cosplay photos, visit his Facebook page (link below). 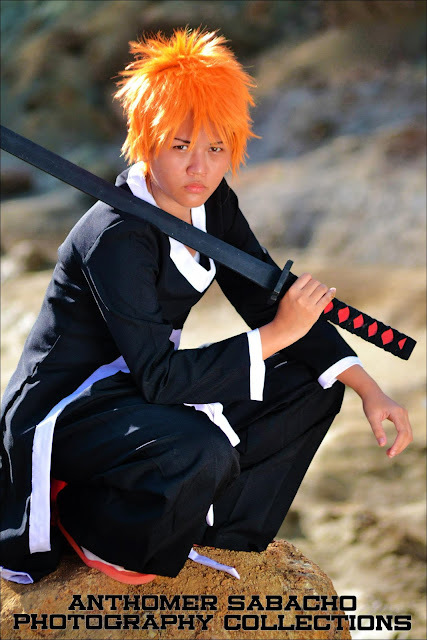 Ichigo Kurosaki is the main protagonist of the shounen anme series BLEACH. He is a human being who gained shinigami (death god) abilities from another shinigami named Rukia Kuchiki. 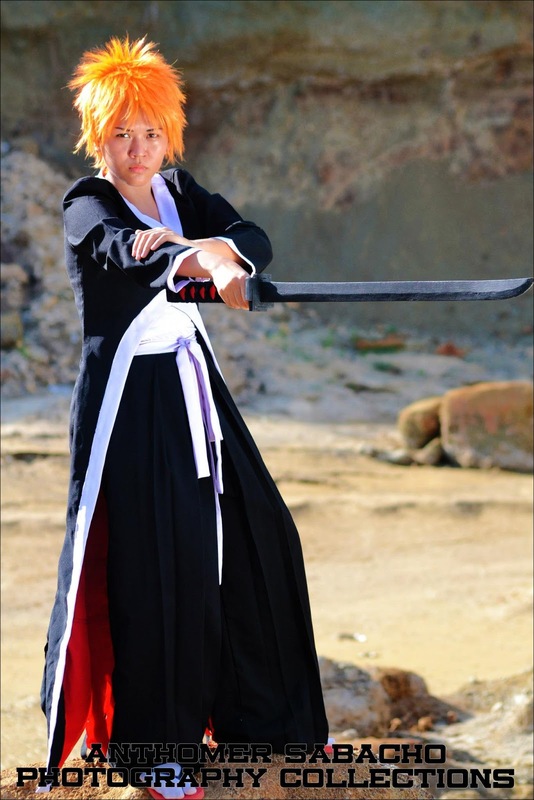 A shinigami is a spiritual being who is able to fight evil spirits (hollow) using a katana, which appearance is based from the wielder's powers. 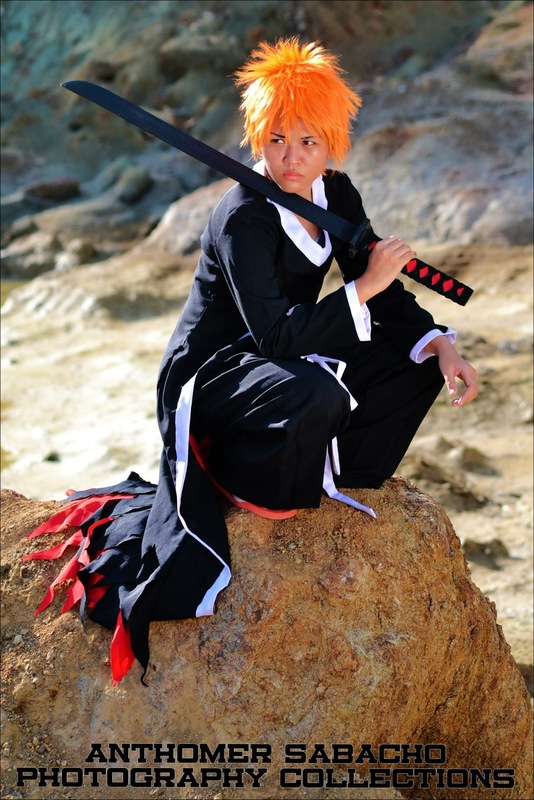 A shinigami can also perform a 'soul burial' - a some kind of event when a shinigami sends a spirit to the spirit world called Soul Society. 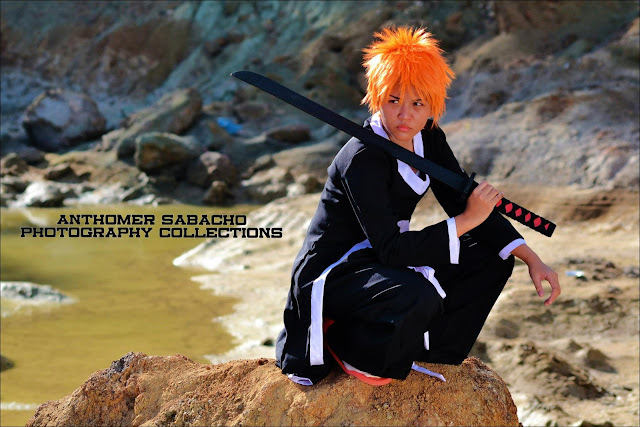 We took in all the heat just to attain great photos for this shoot. 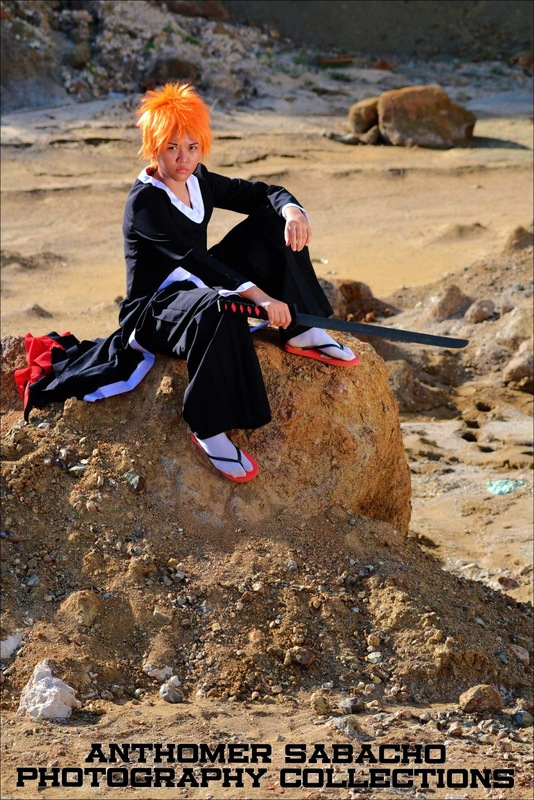 We chose this desert-like location to make it look like we were in Hueco Mundo from the Aizen Arc in the photos. Who can imagine we have a site like this just right in our hometown? Now that's what I call "REAL SITE-HUNT"! 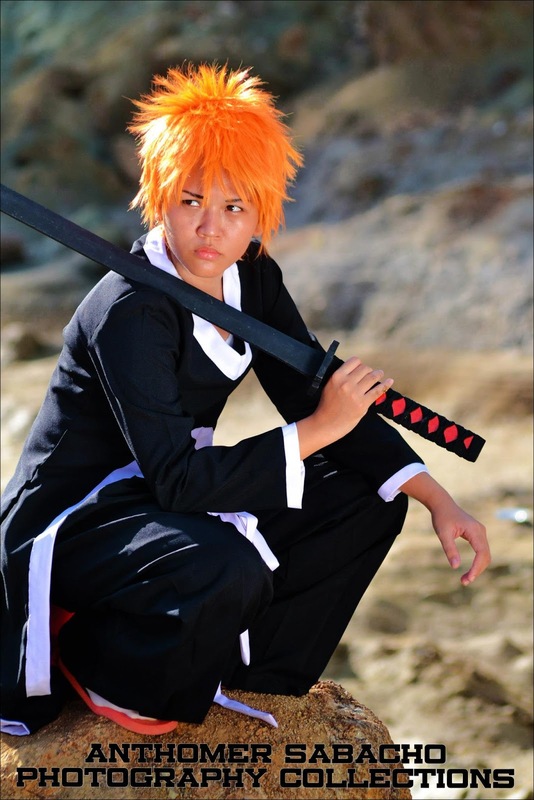 This is, by far, my favorite cosplay and shoot yet! I think it's because we had a huge cosplay group that time. And the site was really perfect for the shoot! Plus the photographer was very nice to us, despite the heat and our number. He instructed us nicely and took a lot of photos with different poses. 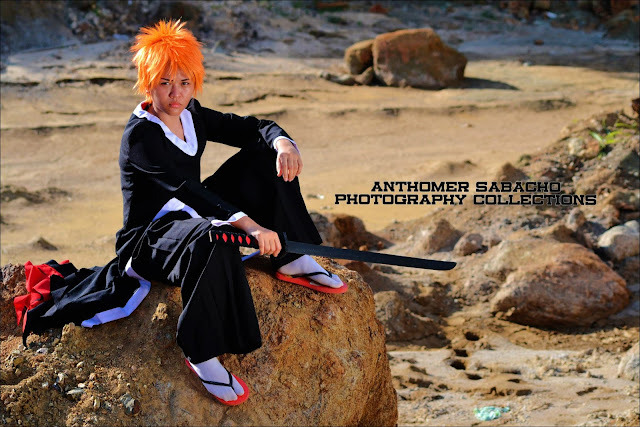 So what do you think about the photos? Comment below and let me here your thoughts!